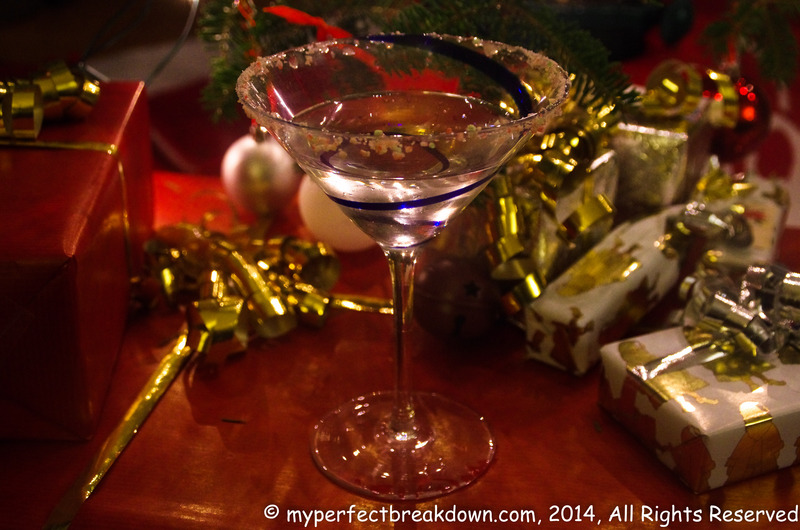 Day 157 – December 10, 2014: First Candy Cane Martini of the season! These are so unbelievably good! 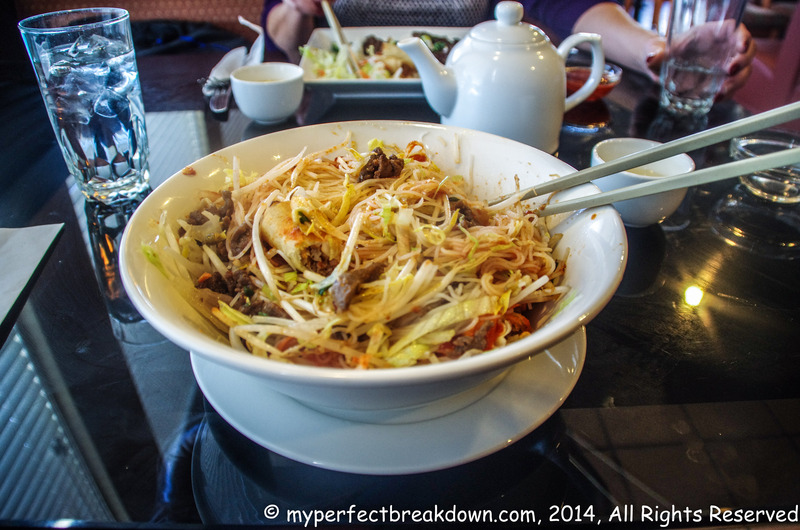 Day 158 – December 11, 2014: Lunch with a good friend at a tasty new Vietnamese restaurant. 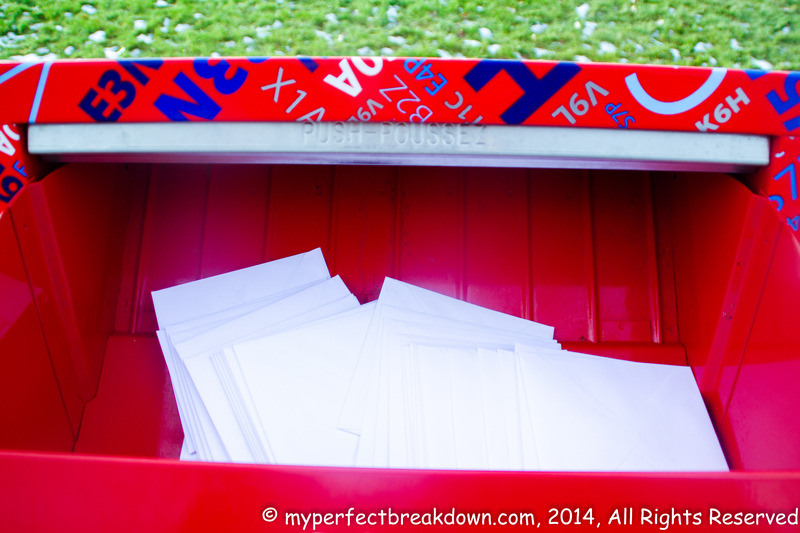 Day 159 – December 12, 2014: My Christmas cards are all in the mail on their way to share Christmas joy! Day 160 – December 13, 2014: Mr. MPB made a simple supper, while I relaxed and watched reruns of Gilmore Girls. 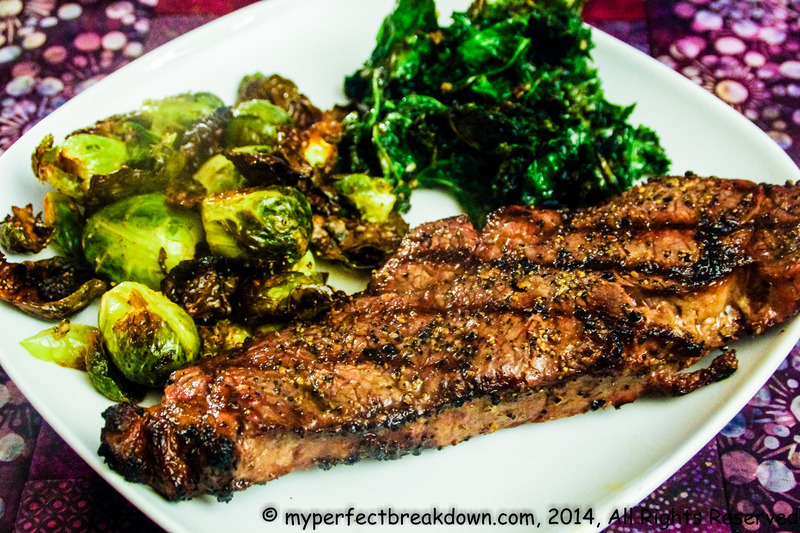 Our delicious meal consisted of garlic sautéed kale, oven roasted Brussel-sprouts and yummy barbequed steak of which I could only eat half of mine because it was so giant. Yummy food, cooked by someone else, always makes me happy! Day 161 – December 14, 2014: When I woke up in the morning I discovered that I consumed too many Candy Cane Martini’s the night before. My day was spent curled up on the couch recovering from a rather unpleasant hang-over. As a non-hard alcohol drinker, I’m not sure what possessed me to partake to such a degree. The happiest part of my hang-over day was finally being able to stomach some water. 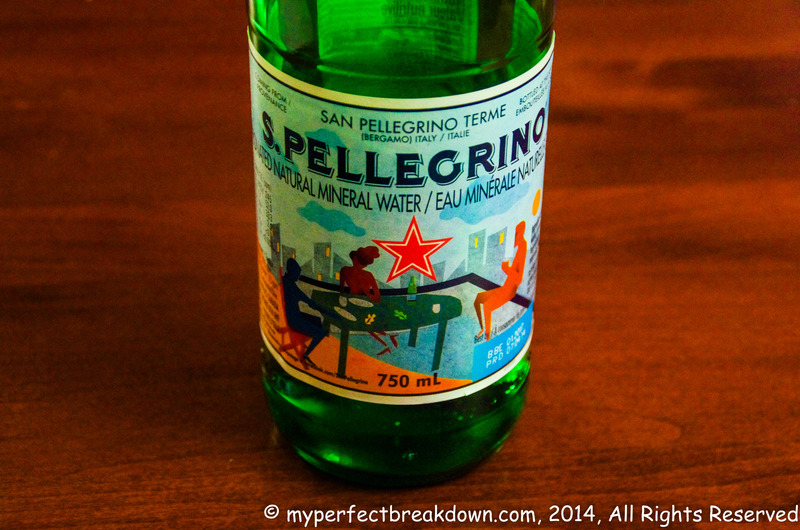 S.Pellegrino of course. 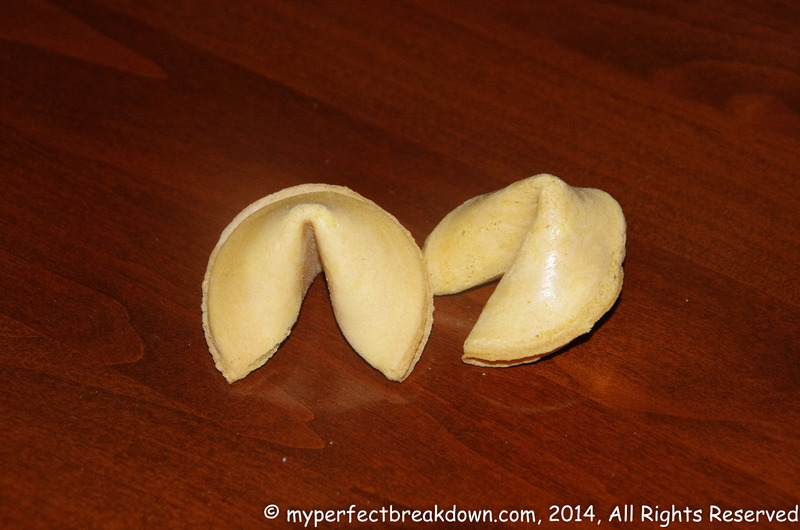 Day 162 – December 15, 2014: I had a craving for Chinese tonight. And I just love the fortune cookies that come along with the food. Day 163 – December 16, 2014: Today was a beautiful winter day, the type of day that Frosty the Snowman dreams of. The type of day where moisture hangs from the tress and shimmers and shines. 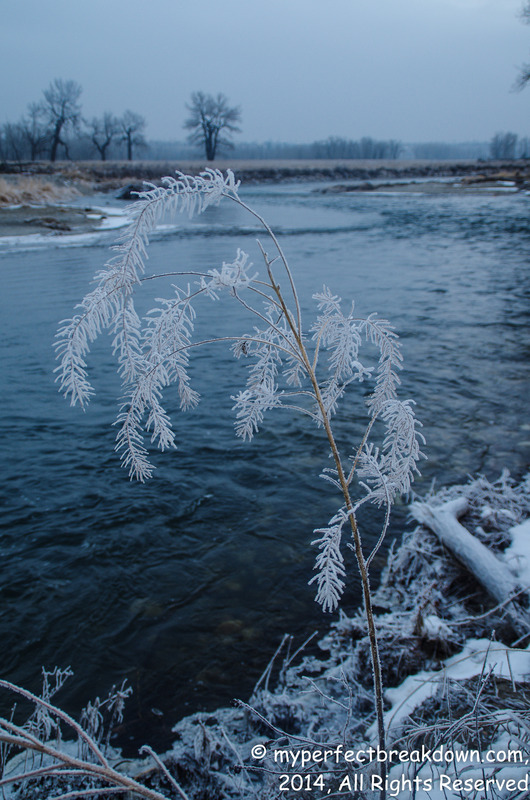 So, Mr. MPB humoured me and we went down to the river to get a few photos. I got your card too! Thank you. I love your pictures! It is only 7am here but I want that meal your husband cooked!! Candy cane martini! Still haven’t had the chance to try one yet but it looks delish! I love the pictures! And the meal that your hubby cooked..? I could have licked my screen !! Candy cane martini sounds fabulous! Going to have to look up the recipe. I’m so incredibly jealous of your husband and his cooking abilities…I mean really, you have no idea!! And I love the pic of the snow!! I hate being in snow, but I love looking at it! And I completely agree – snow is beautiful, I just wish I didn’t have to deal with the cold that comes along with it. Candy cane martinis proved to beas dangerous as they sounded. Glad you have since recovered. I absolutely love the photo of the ice covered tree branches. Made me happy too! Love the river photo! So beautiful.